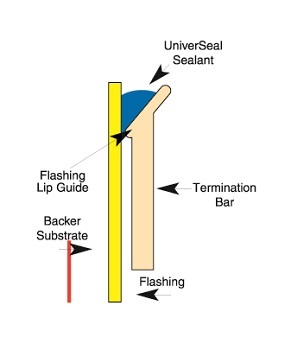 York’s Termination Bar (T-96) is a mechanically fastened bar approved for use with all flashing materials, drainage boards, waterproofing membranes, and many other items requiring a termination point. 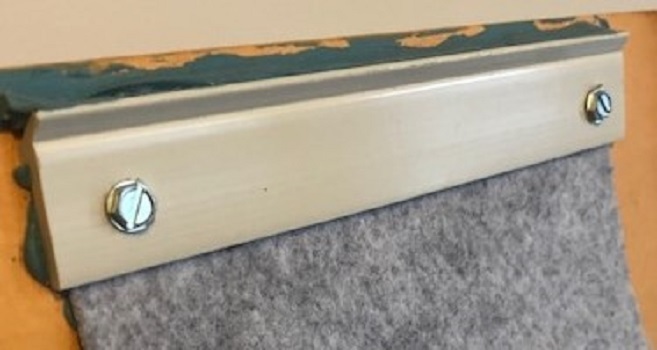 York’s Termination Bar (T-96) is a rigid thermoplastic extrusion designed to support vertical flashing material at its termination point. 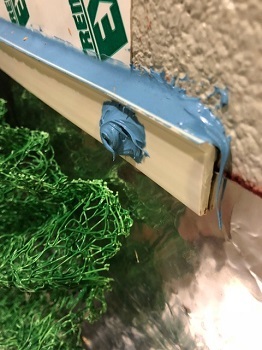 This product is non-corrosive, UV resistant, rot resistant, non-conductive, and 100% recycled. The York Termination Bar (T-96) has a positioning lip on the back of the bar to help installers put it in the appropriate position and has a sealant catch lip that helps hold the sealant at the critical termination point.